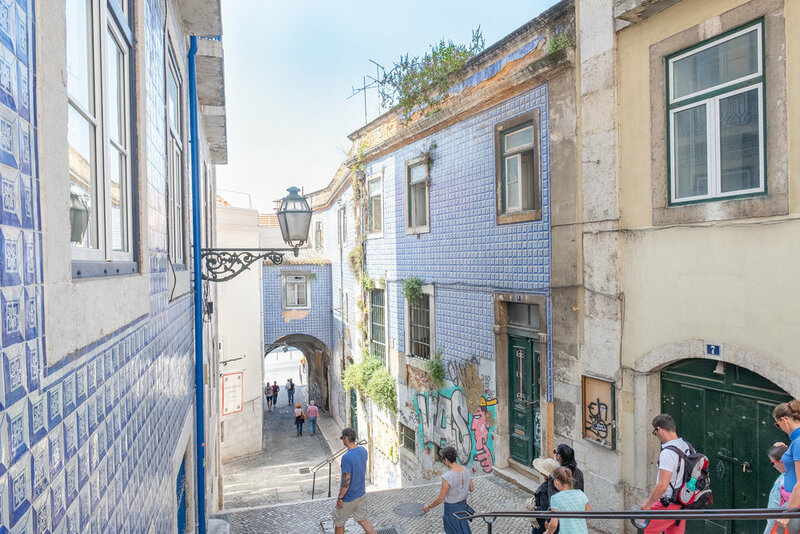 The word is out about Portugal's charming capital city. Lisbon has been on my radar for a little while and finally the opportunity came to visit when we booked flights to Barcelona earlier this year! We were also really intrigued by Sintra, a UNESCO World Heritage Site with different castles and palaces. 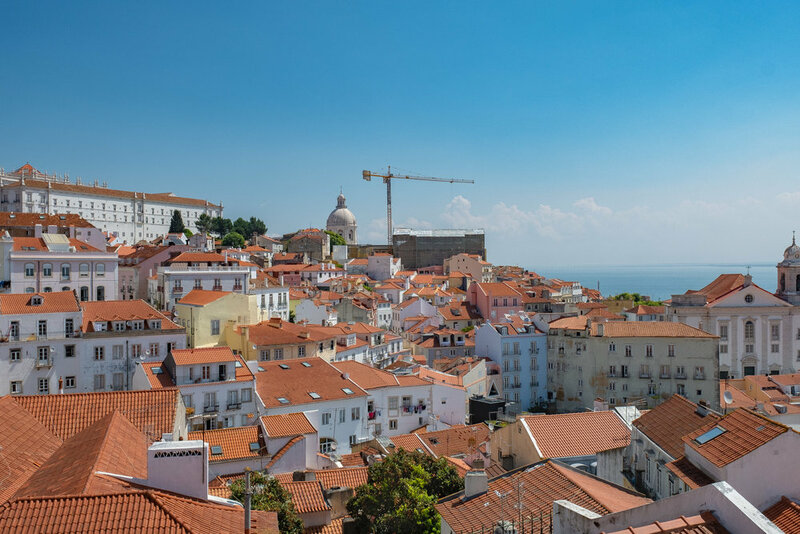 Lisbon is actually the one of the oldest cities in Western Europe. I don't always enjoy large cities, but Lisbon felt more like several smaller neighborhoods clustered together. While it's definitely growing in popularity quickly, we still had room to breathe and explore this lovely city without it feeling over touristic. It's also really budget friendly compared to many other cities in Western Europe! 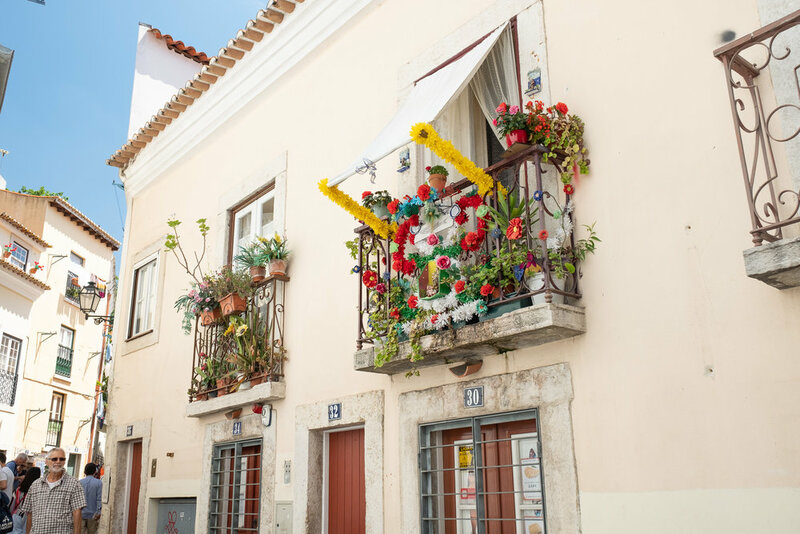 If you want lots of restaurants options and night life I recommend Bairro Alto or Chiado. This place is actually an Apartment/hotel. It was in the perfect location and our apartment was so cozy (yet really spacious)! A prime location by the water, we were really close to a lot of restaurants, tapas bars, but it was quiet enough at night that we had no trouble sleeping (our jet-lagged bodies thanked us). The staff were welcoming and the last night when we needed to arrange a taxi to the airport early the next morning, they were easy to reach to help us out! No question I would stay here again if we return to Lisbon! 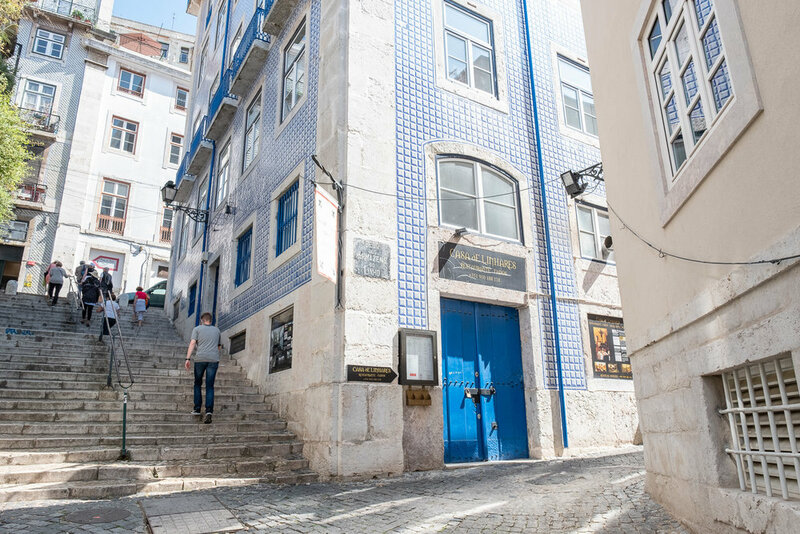 They also have a sister hotel (Almaria EX Libris Chiado). and also has great reviews on Trip Advisor. We were just a short walk away from great restaurants and nightlife. I was blown away by the food was in Lisbon. I did a lot of research before, but we didn't go to any of the places on my list! But that's kinda my thing! I like to be different. However, I do recommend making reservations. We mostly had coffee and pastries in our apartment for breakfast so these are lunch and dinner spots. Although this place offers brunch ( I bet it's amazing) We just missed it, so it was time for lunch! For a starter we had the tuna patè (I am NOT a tuna person, and I loved it! ), local cheese, and for entree's the salmon salad or the burger! Fresh lemonade, think more lemony, less sugary and very refreshing! Everything was super fresh! We are still talking about this place. Right around the corner from our apartment in the Barrio Alto district, they specialize in raw food and pizzas. We were still a bit out of whack with the time, so we thought it might be too bold to try the raw menu, but the pizza was fantastic! The pesto pizza was to die for. Very cool modern vibe. Somebody try the raw tasting menu and let me know how it is! We did get the raw cookie for dessert. Wow. Do not miss this place! Cozy, but elegant atmosphere! I recommend the Duck Croquettes and Risotta Negra. Plenty of delicious tapas and fresh local specialties! I couldn't find this place listed on trip advisor but it's right next door to Tapas and Friends (in Chiado). Which is also a fun spot, we just stopped for a drink there before dinner one night. Not a restaurant, but Lisbon staple. It's a delicious custard tart with a delightfully flakey crust! I actually did not have enough in our short stay! 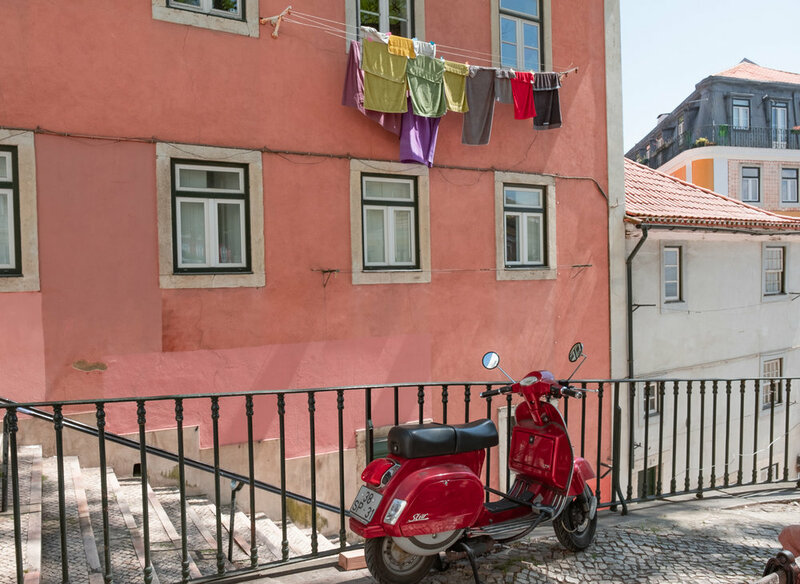 Especially Barrio Alto, Chiado and Alfama. The city is built on seven hills which I think makes the city even more beautiful! 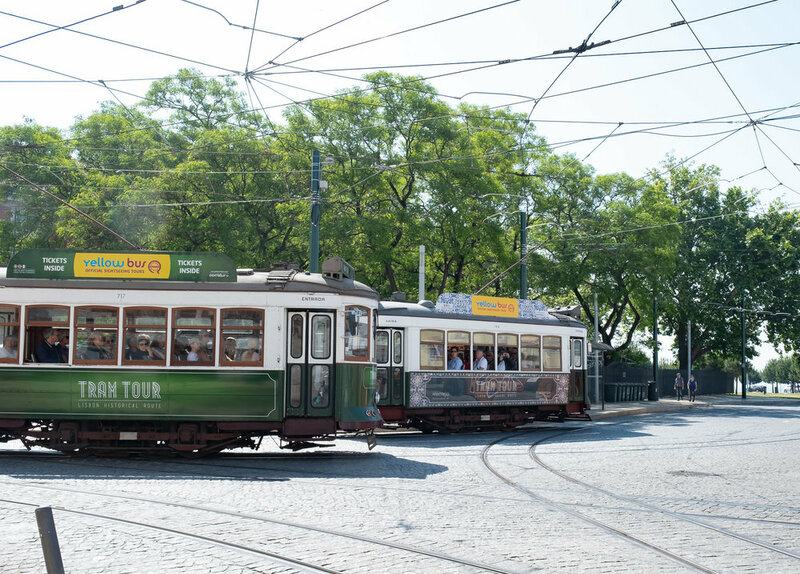 Here's a list of the best walking tours of Lisbon. We did not have time to do this sadly, but I wanted to do one so bad! It looked like so much fun! Next time! Beat the crowd but going around lunchtime- we timed it perfectly and didn't have to wait in a long line. The views of the city are really beautiful from the castle. Such a neat lookout over the city! Next time I'd love to come here for sunrise, I bet it's gorgeous. 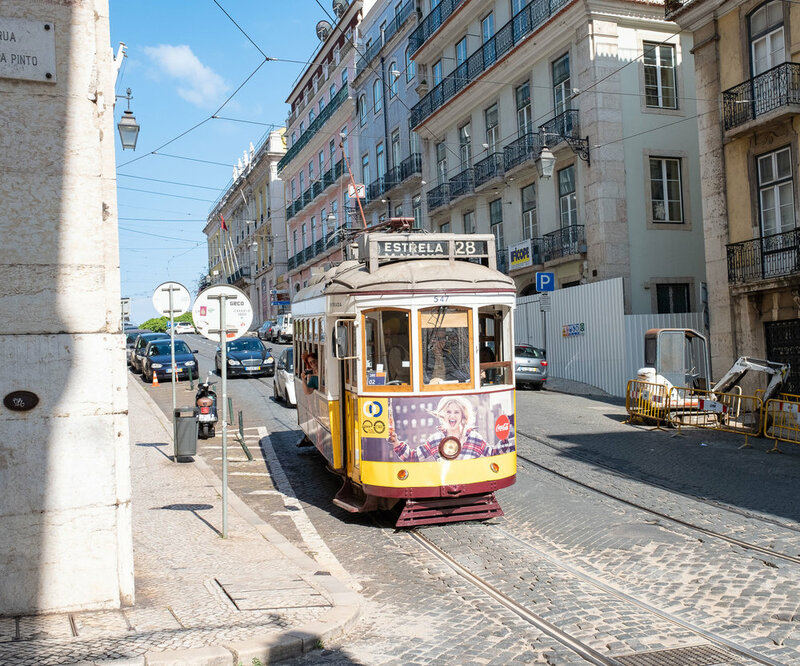 From the Rossio train station, it's a cheap ticket and a 40 minute train ride to a real-life fairytale setting! 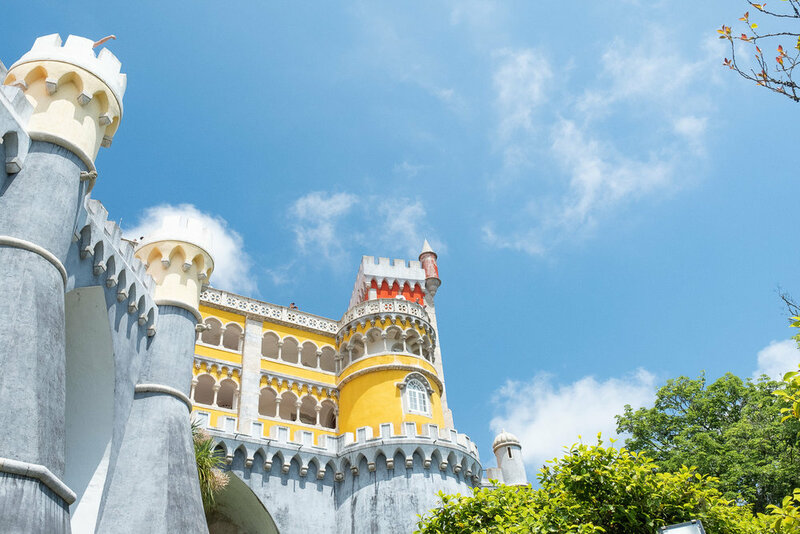 Sintra is an entire park with many castles and palaces. The little town of Sintra is also quite charming so it's fun to enjoy lunch or gelato after exploring all the sights. 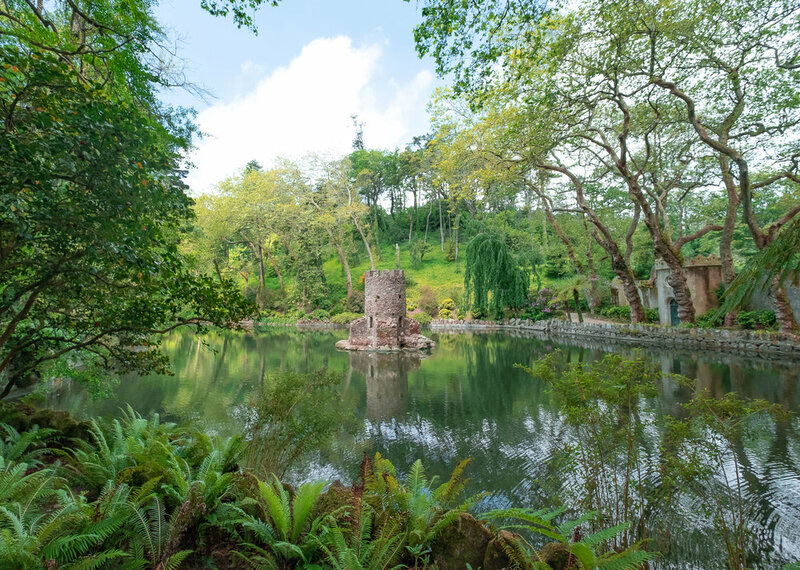 Temperatures in Sintra are a little bit cooler, so definitely pack a light jacket or long sleeves for your visit! 4 Nights. We had 3 nights (with a day trip to Sintra). I think we could have used one more day. We walked so much I feel like we really enjoyed the different neighborhoods, I would have just liked a little more time to do a Tuk Tuk tour. Since this was our first stop of the trip, we were a bit jet-lagged the first day and a half or so. I always think you need more time when that's the case. 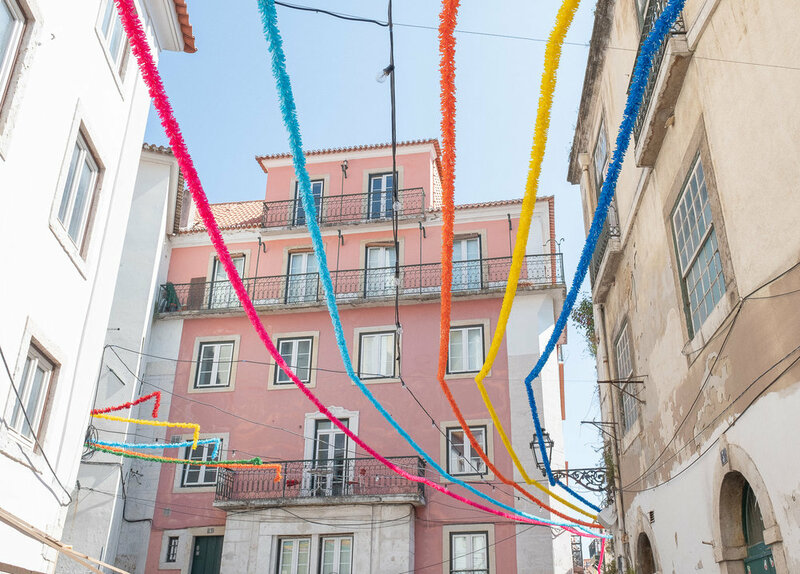 There are more and more direct flights to Lisbon! We actually flew to Barcelona first and then flew TAP Air Portugal to Lisbon. It's about an hour and a half flight from Barcelona. I recommend flying direct if you can! Lisbon has an amazingly mild climate. It really depends on what you want but Spring and early fall offer great weather and reasonable crowd/hotel prices. May-October is the sunniest weather with the least amount of rain! At the end of May we had sunshine every day. The evenings were cool, but pleasant. I wore a light jacket and pants every night to dinner. Looking fashionable as ever! Haha! 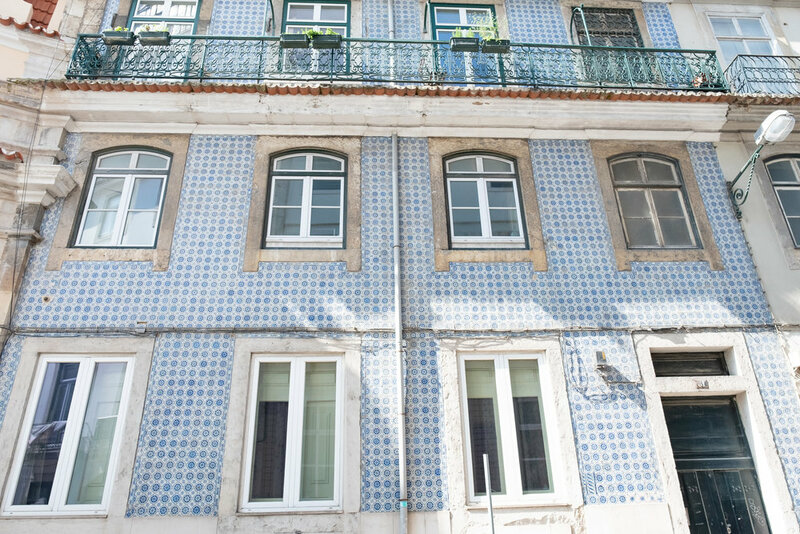 Lisbon is such a unique and beautiful city, I thoroughly enjoyed just walking around the different neighborhoods, seeing the unique tiles and eating the traditional foods. I'd really love to go back someday! Have you been to Lisbon? 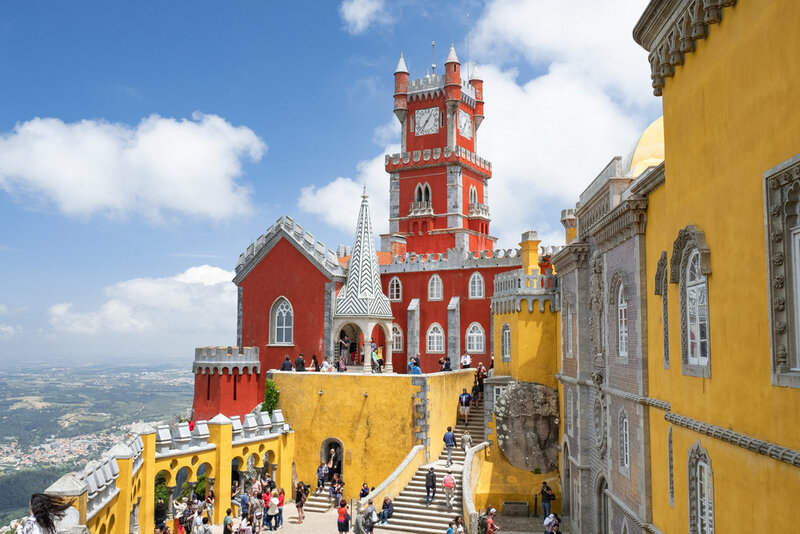 Are you planning a trip to Portugal? Leave a comment or ask a question below!